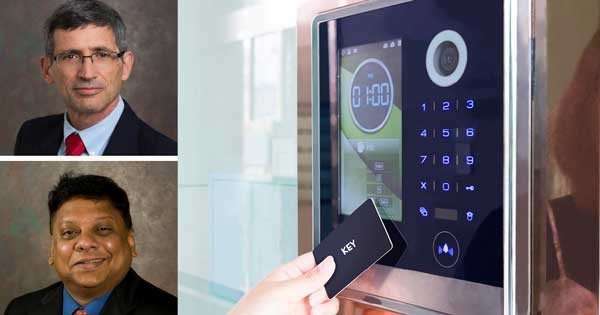 A hotel room door that opens with your smartphone – no room key required. In-room virtual reality glasses providing virtual tours of famous landmarks. Smart device-controlled lighting and thermostat, a smart TV connected to your Netflix account and smart room service that accepts smartphone orders. University of Delaware professors in Alfred Lerner College of Business and Economics Sri Beldona and Zvi Schwartz are studying these issues. In a paper recently published online in The International Journal of Contemporary Hospitality Management, Beldona and Schwartz describe their findings that hotel guest technologies should be of a higher standard than customer's homes in order for guests to be satisfied. A survey of 595 people who had stayed in a hotel during the last year found that the greater the relative standing of a hotel's technologies when compared with home, the higher the guest satisfaction. Beldona explained that this research is important because it suggests that hotels should primarily use guests' homes as reference points to provide the best service, rather than merely following what their competition is doing. "I've always been interested in the concept of 'home,'" Beldona said. "Hospitality is rooted in 'home,' because hotels are giving a service that is unlike any other. They have to be intertwined with the customer's lifestyle. How has technology penetrated this lifestyle?" As technologies like the Internet of things "permeate every aspect of our daily lifestyle," he continued, hotels have fallen behind the average home. For example, Beldona said, virtual assistants like Amazon's Alexa are available in between 10 to 15 percent of American homes, but are largely unavailable in hotels. "You can look at the adoption pattern of certain specific technologies and see that hotels are still catching on, while consumers have already moved forward with many of them," he said. Beldona explained that aside from the high financial investment of updating technology, hotels face a difficult task in determining which technologies will catch on and become mainstream. Hotels' franchise structure also encourages brands and franchisees to be cautious, performing numerous studies and answering many complex questions before adopting new technologies. "So it's understandable to some extent, but the gap that we see between the industry and the home now is a little too wide," Beldona said. "In the hotel industry, that's where the focus is now: leveraging smart technologies to provide superior experiences," he said. "That is going above and beyond now; that's the way it's perceived now. But it'll become very common in a few years." For industry and academia, Beldona said, this research makes a strong case for redefining the hospitality industry, using the essential concept of "home" as a benchmark. "It's a simple paper, but it's powerful," he said. "It addresses a very fundamental aspect of hospitality."